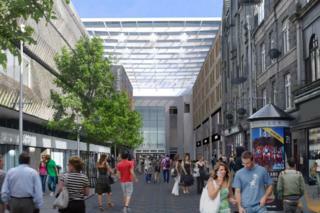 Councillors have approved a major redevelopment of an Aberdeen shopping centre. The extension of the Bon Accord Centre will see new shops and offices as well as a 170-room hotel. Fifty flats would also be built as part of the plans. Officers recommended it be given the go-ahead, subject to a number of conditions, which was approved unanimously. It is claimed the redevelopment would enhance the area.